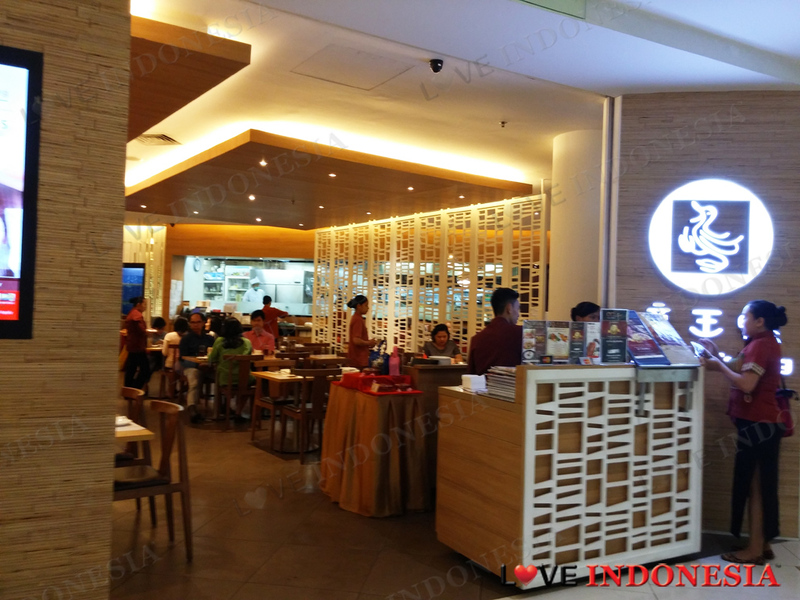 With over than 10 successful branches in Indonesia, The Duck King specialty is their Peking duck which uses twelve types of imported herbs and spices to make their duck simply scrumptious and irresistible. You can choose to have whole duck or just half of it. Either way, you are required to choose your preferred way of how the duck meat will be cooked and served. The golden brown skin will be served separately, by rolling them with sliced cucumber and onion leaves inside lumpia sheets made to resemble spring rolls and served with Hoi Sin sauce to dip them in. Some of the ways you can choose to cook the duck meat are Deep Fried Bun with Duck Meat with Spring Roll and Mango or Deep Fried Bun with Duck Meat and Black Pepper Sauce or Stir Fried Roasted Duck Meat with Bean Sprout or Curry Roasted Duck Meat served in stone pot. 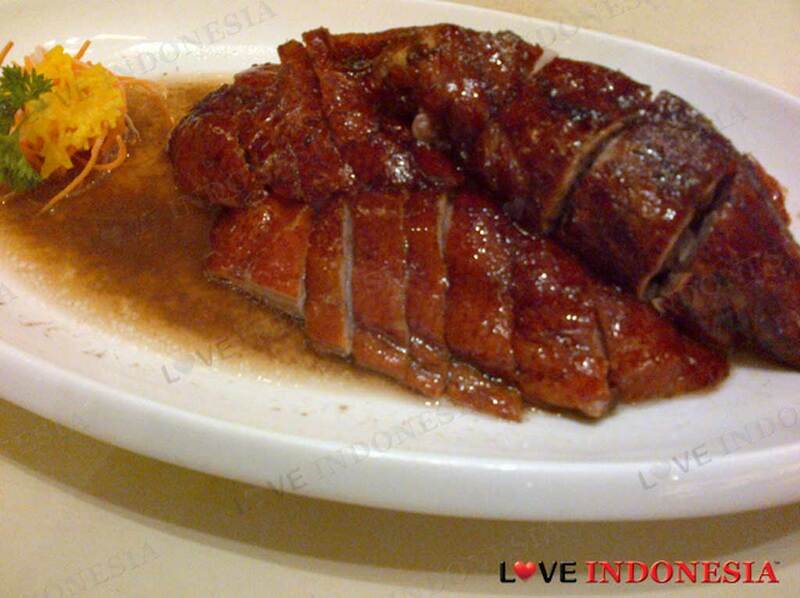 You might want to try the Stir-fried Roasted Duck with Black Pepper Sauce which is a bit spicy but mouthwateringly good. 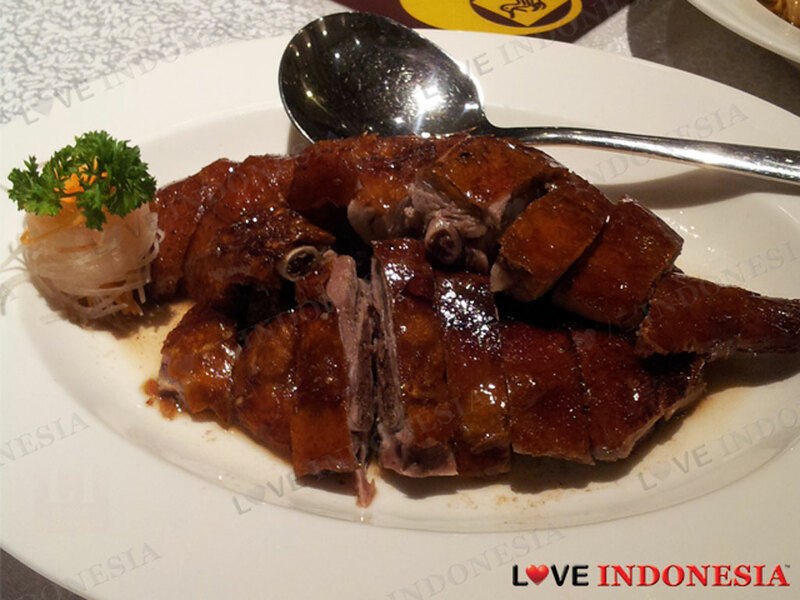 The soft duck meat, trapping the spices inside, is balanced with the crunchy capsicums and yellow onions. For dessert, Fried Durian is a must as it is not something you can find very easily outside of this restaurant. The chopped durian is fried inside bread flour. If hot desserts are not your forte, consider Iced Pomelo with Mango. It was rich in color and flavor. Pomelo, or more familiarly to Indonesian people, Balinese orange is a citrus fruit, larger than a grapefruit with sweet sour flesh and spongy thick peels. The pomelo flesh served as an added flavor to the sweet mango. The mango is dipped in coconut milk and crushed ice. Underneath it, hidden under the mango and pomelo flesh, is a lump of sago. The sago added sweetness to the whole serving. It was a truly refreshing dessert.